Our City. Our Future. Our Promise. Article from Fastweb that lists some companies and the benefits they offer for tuition assistance. McDonalds Tuition Assistance – up to $700 for hourly workers towards tuition and books. Must maintain a 'significant performance' performance rating while enrolled, work an average of 20 hours per week, and submit grades following completion. Akron Promise will be holding its second annual golf fundraiser at Mayfair Country Club on May 18. Please join us. Breakfast and lunch is included in the price of $70 per golfer. In addition, friends are invited to join for lunch for only $20. 8 AM Tee time for golf, 12:00 PM for Lunch. More details and Golf Registration is available here. Lunch Registration is available here. 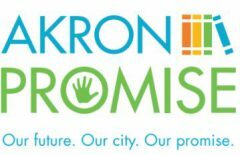 Facebook provides a facility to donate to Akron Promise with ZERO fees. Please consider a donation today. Apply for the Kenmore-Garfield Stark State Scholarship here!